You have a goal, we have a Plan. Part calendar, part project-manager, Plan automates work life so you and your team can work less and do more. 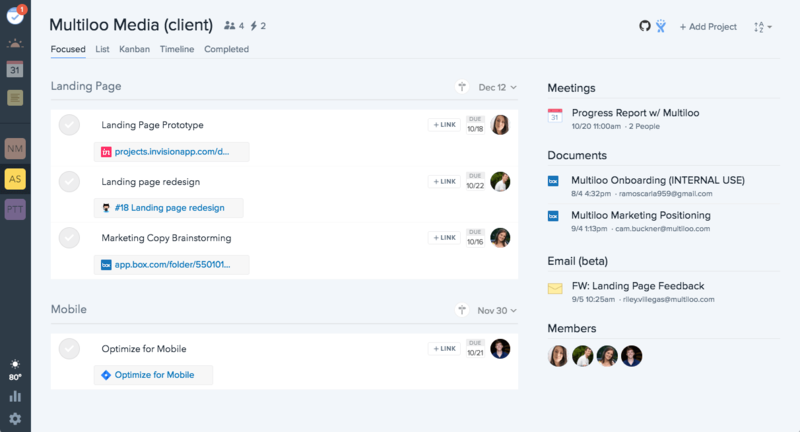 Plan intelligently organizes projects and tasks from all the tools you and your team use: calendar, email, JIRA, Zendesk, Salesforce, and Github. Think of it like a work concierge. Teams on Plan save an average of 15 hours a week. That's more time spent working, and less time spent managing work.